For the past 50 years, the Baskett Research Center has worked to see how its forests have changed through a large-scale forest inventory study. The first data collection took place in 1968 and included 75 plots. Four more data collections have taken place since the project began. The original study took a standard approach to measuring forests using a fixed-area plot. Basically, … Expand ▸The original study took a standard approach to measuring forests using a fixed-area plot. Basically, a large circle was drawn around 75 different locations in the Baskett Research Center forest. Every tree within each of the circles has been measured and studied. That means there could be a variety of timber species in a plot or possibly just one species. The original study took a standard approach to measuring forests using a fixed-area plot. Basically, a large circle was drawn around 75 different locations in the Baskett Research Center forest. Every tree within each of the circles has been measured and studied. That means there could be a variety of timber species in a plot or possibly just one species. The plots haven’t had any management, either. After the initial sampling took place, four more followed, in 1982, 1992, 2004 and 2016. Knapp led the charge for the most recent sampling. “We were able to precisely re-locate 53 of the 75 original plots, which is pretty impressive considering how big and diverse the Baskett Research Center is,” Knapp said. Monitoring the physical conditions, environmental conditions and history of the forest are three of the biggest objectives of the project. Measurements within the study include leaf decomposition, species composition, growth, productivity and nutrient cycling, among many others. Knapp added a new wrinkle during the sampling in 2016 – he tagged each individual tree in each plot. 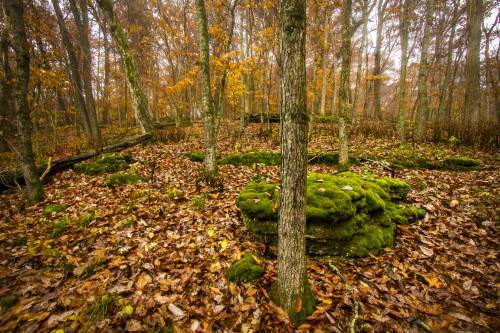 Knapp said the plots could be broken into four forest types – upland oak, mixed mesic hardwood, bottomland and glade. There have been a number of papers published about the study. Knapp even has a couple more in the works. “Through time, people have published on stand dynamics and forest changes, as well as the trends that happen in the forest,” Knapp said. The study has shown some interesting trends for the oaks and sugar maples in the area. 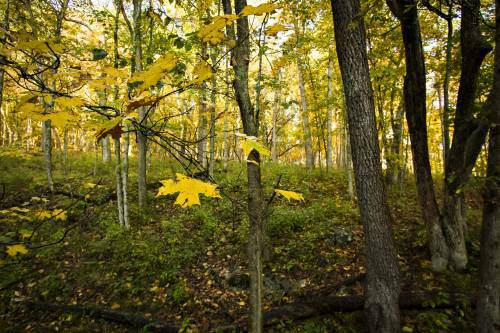 The soil and climate of Missouri tend to favor oaks, Knapp said. 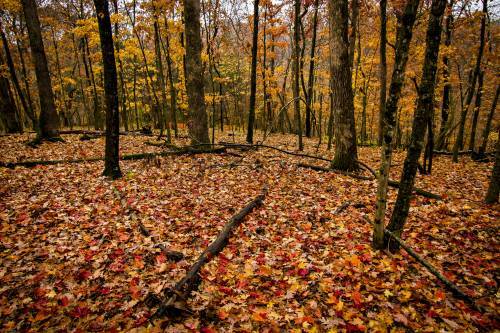 Mid-Missouri is the western edge of the sugar maple range, part of the mesic hardwood forest type. The original study in 1968 mentioned that sugar maples were becoming more prevalent in the Baskett Research Center. They projected that some of the stand could become sugar maple stands in the future. Knapp said the Baskett Research Center is continuing to branch out its research efforts with the … Expand ▸Knapp said the Baskett Research Center is continuing to branch out its research efforts with the original study as a guide. They are looking at how wildlife can affect the forest, as well as how the different timber species interact. Oak trees are an important economic driver for Missouri. In much of the state, oak tree regeneration is common, but areas that have more sugar maples have difficulty regenerating oaks. The Baskett Research Center has both conditions, so it is a good place to study. Knapp said the data points have shown stable tree numbers and larger trees. Knapp said the Baskett Research Center is continuing to branch out its research efforts with the original study as a guide. They are looking at how wildlife can affect the forest, as well as how the different timber species interact.